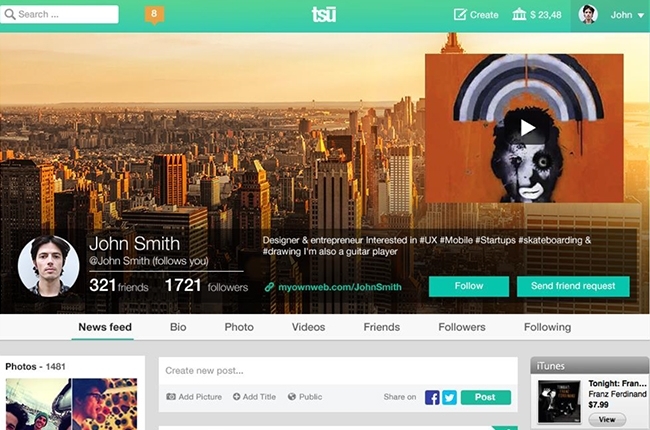 Tsu is a new social network that promises content creators will share in any value they generate. Telling your audience that they’re not a product is likely a big drivers behind the recent gains for Ello. Other services like Patreon are going further by saying that advertising isn’t enough to support content creators. 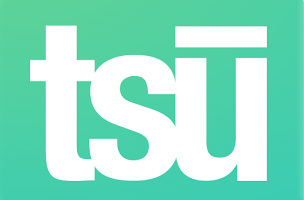 Now Tsu, a new social startup, promises to allow users to own their audience, and they promise to share revenue with creators. According to a press release, key features include: fair content ownership, returning power to the people, brand equality and peer-to-peer merchant services. In other words, users will own the content they create, each creator will be a partner with the service and receive a share in revenue, and each account (corporate, personal, brand etc.) will be on an equal footing. If that sounds kind of familiar, it’s because it is: Victorious promised similar features for YouTube creators when it launched in June. Ownership of content could become one of the features that users look for when they are shopping around for a social network. Established social networks have built amazing business models prospering on the total monetization of free user-generated content. The basic principle is upside down – why should anyone commercially benefit from someone else’s image, likeness and work giving no financial return to the owner? With tsu, users can now maintain real ownership of the content they create and are rewarded proportionally. And it’s true: The value on social networks is generated by the users, but the profits almost rarely find their way back to those users, except in cases like Reddit’s cryptocurrency plan or YouTube’s ad revenue sharing. It’s likely the revenue generated for users would be a trickle, but YouTube’s revenue sharing program probably started from similarly humble beginnings.